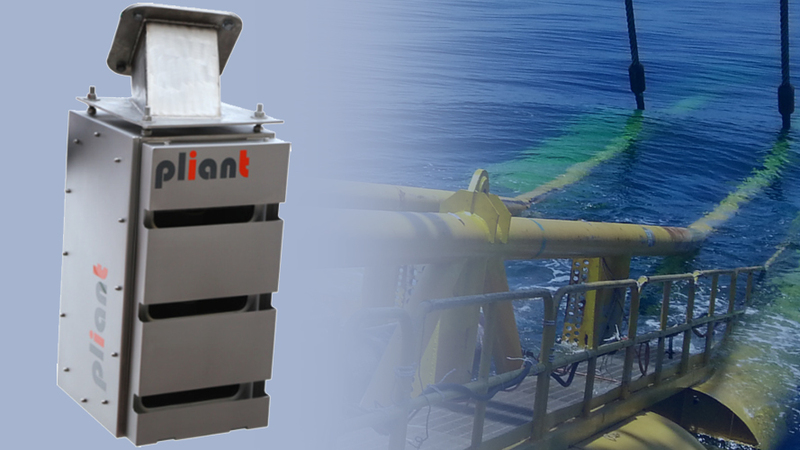 Pliants latest product in offshore is our DAMS (Departure Angle Measurement System). Designed for cable laying vessels, it allows accurate, reliable and responsive measurement of the departure angle of cables. It has successfully proven its value during automated cable laying processes and cable loading. We integrated an advanced 3D engine with optimal tracking and optimized filtering algorithms, exceeding all available existing systems on the market. The system has proven to be extremely reliable, both in simulated stress-tests as well in actual fully automated cable laying for hundreds of kilometers in all kinds of weather conditions. The system allows full automation of the cable laying and thereby improves the speed and reduces down-time. It provides valuable logging information for events and incidents, making it indispensable for survey and reporting. It adds instant value for process automation or survey applications. The quality and high performance measuring is unique and unbelievable reliable.